Social Media websites are more than just a way for people to share information about their day-to-day lives, funny pictures and inspirational quotes – they can be incredibly powerful promotional tools for an online business. In order for a product to sell you need to promote it and you need to promote your brand so that you develop a core following of loyal customers that keep coming back for more. There are quite a few social media platforms out there and each one has a unique set of useful features. For best results you should divide your online marketing efforts between a few of the most popular social media websites and stay active. This will require a significant amount of time and money, but it is well worth it. 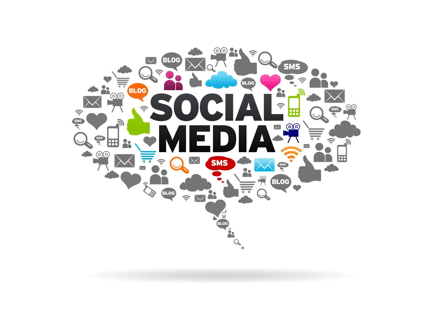 You can have a couple of people working on your social media marketing, friends and family can be of great help for smaller businesses, but you will need to know what you’re doing. Let’s look at the biggest name in social media and ways of using them to your advantage. Unlike Facebook and Twitter which are more informal and where users often focus on mundane subjects, LinkedIn is geared towards business. Essentially it is a good place for companies to look for employees, but it can help with business-to-business sales as well. 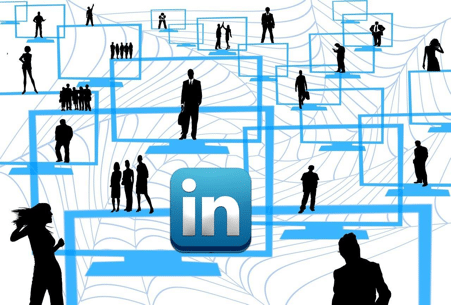 Overall, LinkedIn is a very grown-up social network geared towards business professionals and it definitely has its place in an online retailer’s marketing arsenal. Google+ is a very versatile social media platform that allows you to have a more professional approach than with Facebook, but it isn’t as focused on business as LinkedIn. It is quickly catching up to Facebook in terms of popularity. 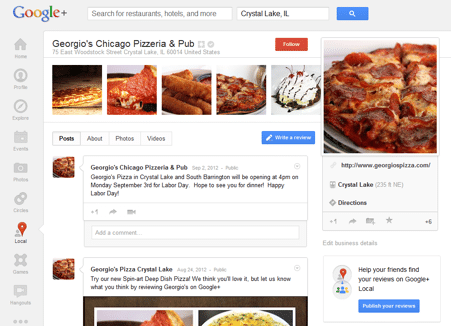 Get your Business on Google+ – This is a great way to get noticed by potential customers. It allows you to connect with customers and provide some additional useful information that is tailored to the particular way in which customers are searching for you, be it Google Search, Google Maps and Google+. For example you can add a dedicated cell phone number for those that are using Google Search on their mobile devices. Google hangouts – Hangouts give you a way to connect with consumers face-to-face and get some valuable feedback, or exchange ideas with other industry professionals. In fact, you can even do a “Hangout on Air”, which is essentially a livestream that can be recorded and posted on YouTube. Learn more about this in the YouTube section of the article. 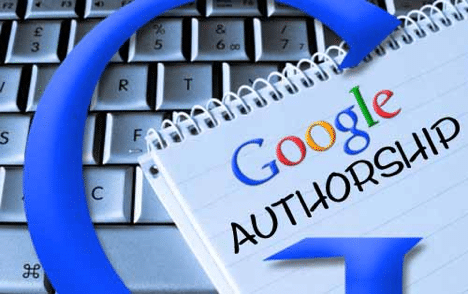 Connecting your Google+ page with your website – There is a way of letting Google know that your website has a dedicated Google+ page, and it’s as easy as copy/pasting a bit of code on your website. Alternatively, you could just add a Google+ badge to your website. This allows people to add you to their circles form the website itself. Another useful feature is adding a +1 button on your product pages, allowing customers to share your products instantaneously. Google Helpouts – Google Helpouts provide you with the functionality of YouTube, allowing you to create video tutorials or just generally provide useful advice related to your products and your niche. You can charge for this advice or offer it freely. A good example would be offering a detailed instructional video on a particular product for a reasonable price. You can have the Helpout right there on your product pages. Regular Google+ post can be used as an effective blog substitute, providing a good deal of useful information and even entertainment to your customers. 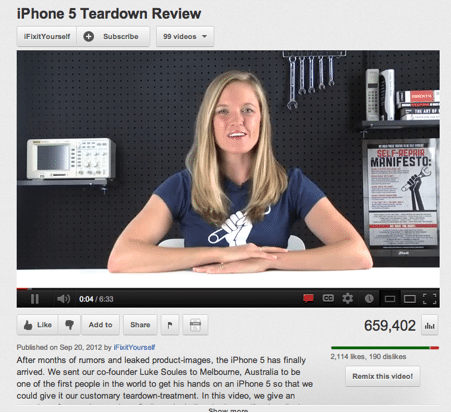 You can also share blog posts, videos, infographics and product reviews. Creating a Facebook page for your business is quite easy and there are also ways of creating a veritable Facebook shop or offering a shop tab on your fan page. For the latter option you can offer a small assortment of the latest goods, discounted items and so on, while a full on Facebook shop can be a nice extension of your business or even a good way for inexperienced entrepreneurs to start dabbling in e-commerce without shelling out several thousand dollars on web development. Integrate your profile with your website – As with Google+, you provide people with a means of liking and sharing your content directly from your website. Getting more personal with your loyal fans – It’s important that people view you in a positive way and this can be achieved by showing your human side. Your employees can engage the users from private profiles, you can post some funny pictures of you using your products or interacting with customers in person at events or in the streets. Share some tips related to your products, information on your niche and share some insightful or entertaining content from around the web. Stay on top of latest news and post your take on certain situations. Encourage your fans to start great conversations and reward their loyalty with special promotions. Getting some great user Feedback – Have dedicated staff go through your Facebook page comments and look for patterns. Are people complaining on a particular product? Which products are more popular? Can some changes be made that would make the user’s experience a more enjoyable one? Don’t be afraid to reach out and ask the consumers how they feel and what they think. You can get tons of useful feedback this way and it costs nothing. Providing customer service – Customers will have some complaints, constructive criticism or inquires and addressing these on Facebook is a great way to keep the tone very personal and come across as transparent and helpful. When someone answers a question the customer has on Facebook, that person has a name and a face, which makes the whole experience seem more genuine and puts people at ease. Let others provide you with content for your website – Offer discounts or rewards for people who send in pictures wearing your clothes or using your products and then use these pictures on your product pages. This allows you access to huge amounts of royalty free content and gives a more personal touch to your website. Customers can provide testimonials – Ask your customers about their experience with particular products and their personal opinion on them. You can use these testimonials on your website. Spreading word of mouth, getting useful feedback and giving your online business a face and a voice are some of the different ways Facebook can benefit your e-commerce website. Pictures, pictures and even more pictures! Pinterest is very popular, particularly with women, when it comes to sharing images of products, locations, art, etc. You “pin” pictures on “boards” and you can have a large number of these, set up in any way you want. Share high-quality product images – It’s best to have a number of photos detailing the best features of an item, pictures of a product being used for its intended purpose, funny or motivational photos of customers using your products and inforgraphics. Suggest item combinations – A board titled “essential household tools” can feature a number of products from your website and a board titled “great interior decorating ideas” can showcase different room arrangements with your products. This way you are promoting several products at once. Promote new products and provide information on upcoming sales – A new and exciting product can be promoted on Pinterest and you can put the words “50% OFF during the Holidays” on an image of your product and garner quite a bit of attention. Pinterest is quickly gaining popularity, it is very user-friendly and allows you to effectively showcase your products, so you should definitely give it a try. YouTube has been around for a while now and people have gotten used to it. This is why it is the perfect setting for some good marketing tactics. You’ll need to invest a bit of money in some decent filming equipment – a good camera, microphone and lighting – and prepare a dedicated filming area. You can use green screen to add some flair, but a simple backdrop and a table can be enough for most products review videos. Make videos of your products in use – There can often be some confusion when dealing with a new piece of machinery and you can’t really get a feel of how an item really looks like from a few photos. This is why a video showing the item from multiple angles and how to use it can be very useful. Clothing can be worn by models to show how different sizes fit and advice can be given on combining it with other clothing items and fashion accessories (preferably something you offer on your website). Maintenance tips are another great piece of information your customers will enjoy. Embed these videos on your product pages to provide people with the best online shopping experience. Do reviews where you detail some of the finer points of a products construction – A list of key features isn’t really worth much if the user doesn’t understand how those features affect the quality and versatility of the product and why they are important. Break down the product part by part and try to give the customers some valuable information on the quality, construction, cost and performance of your products. Have some fun or interesting content – People are more likely to share your videos if they are unusual, funny or cute than they are if it’s just another boring product review. Cold Steel have videos of their staff cutting various items with their knifes and swords, people make torture tests where they abuse products to show their build quality and some products are often featured in creative videos. These are all examples of thinking outside the box and adding some entertainment value to your promotional videos. Post livestreams where you discus important industry topics in depth with other professionals – You can do a Google Hangout on Air and post it on YouTube, do interviews professionals that use the products you offer or the CEO’s of companies that make them, answer customer questions, etc. Make sure you cover topics people are interested in and provide more detailed information. Communicate with the viewers – YouTube comments section is notorious for the sheer amount of hate speech, ignorance and trolling that goes on there on a regular basis, but there are people who truly want to learn more or share their experience. 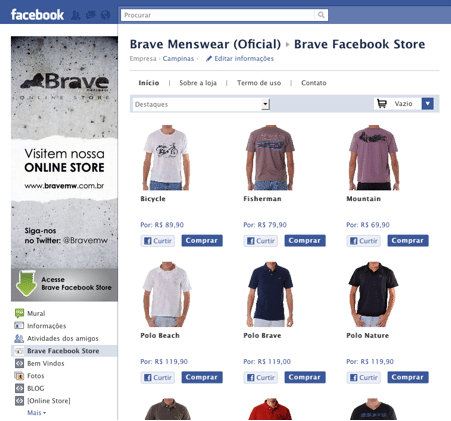 You can also use this opportunity to point customers to your other social media pages. An online shop and a YouTube channel go hand in hand – providing your customers with video on your products, instructional videos and interviews with industry professionals can really help you boost sales, so set aside some money for financing your videos.